Rather than waiting for the NBA season to start, have your own slam dunk contest in your very own backyard. Finish your slam dunk with a bang similar to Indiana Pacers Glenn Robinson III epic dunk at this year's All Star Slam Dunk Competition. Sport Court SlamSystems are the highest-quality basketball systems that are adjustable up to 10 feet. The same hoop can be used for all levels of play by easily adjusting the height of the SlamSystem. 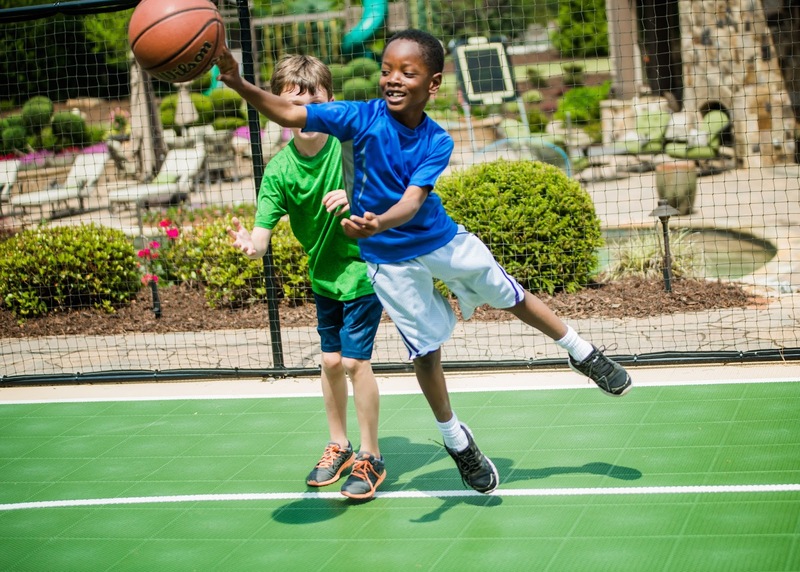 Create your own memorable moments on a customized court from Sport Court. For example, a devoted L.A. Lakers fan can design their court with the Lakers logo center stage. We give you the control in designing a court you love by offering a wide selection of colors, logos, and design options. Extend your game by transforming a simple half-court basketball court into a tennis, POP tennis, or pickleball court with the installation of a multi-purpose game court. Create the same ecstatic feel of a 50,000 fan arena in your own backyard. Add in a couple of LED lights to capture your spotlight moment during a fast break night time play. We have options for dimmer lights too! Legends Michael Jordan, Kobe Bryant, and Vince Carter slam dunks are everlasting times in NBA history. Now it's your turn to slam your way into the history books.